Graceful silver swirls are mingled with an ivory colour that exudes a distinctive holiday flair. 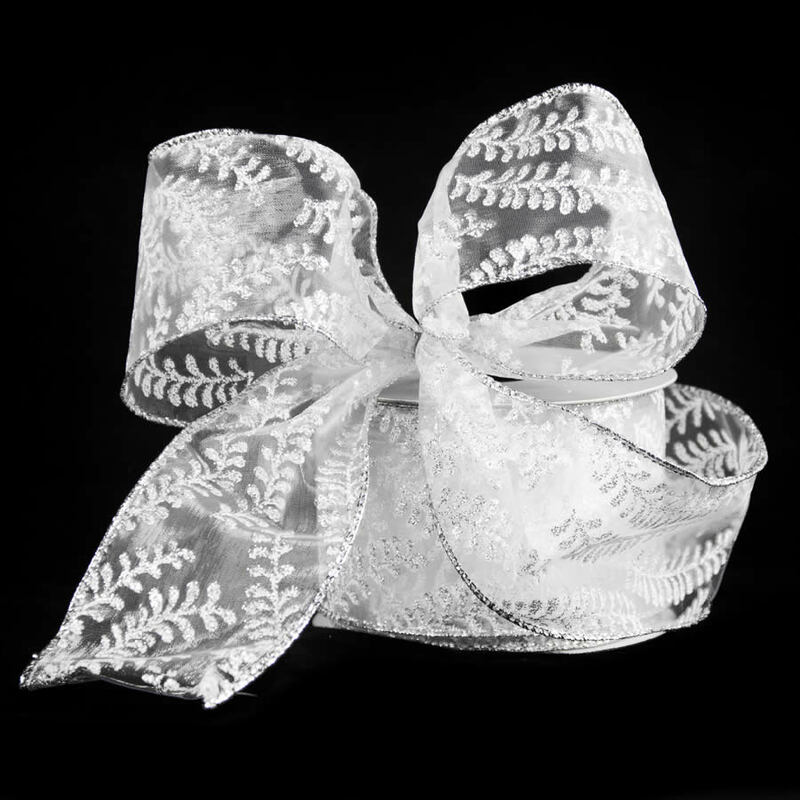 The 9-metre roll of sheer Silver & White patterned ribbon is an exceptional-quality ribbon that will bring sophistication and elegance to your holiday displays. 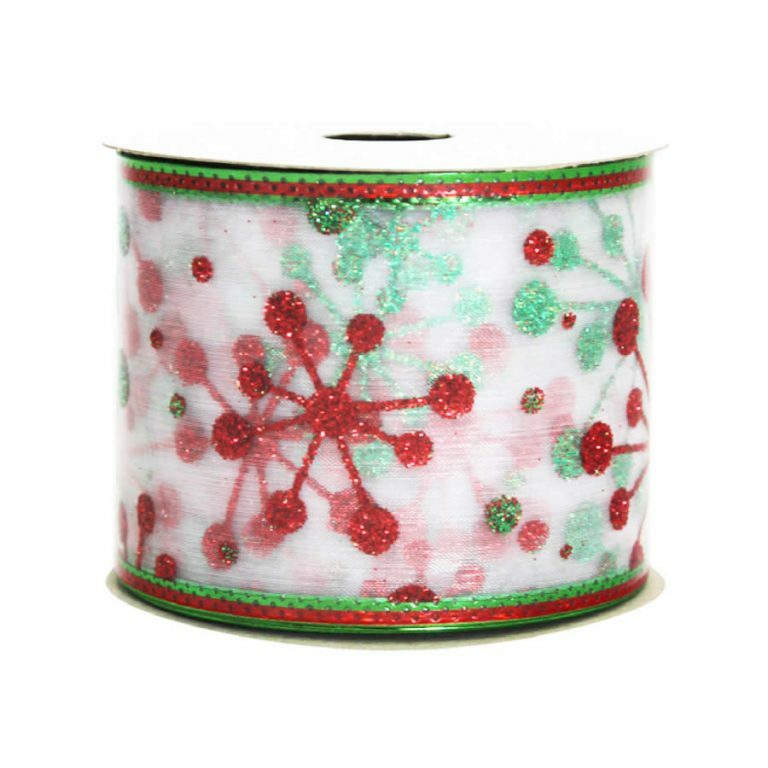 Whether using this fine ribbon to create a bow, or if using it to wrap around your decorated tree, this ribbon never disappoints! 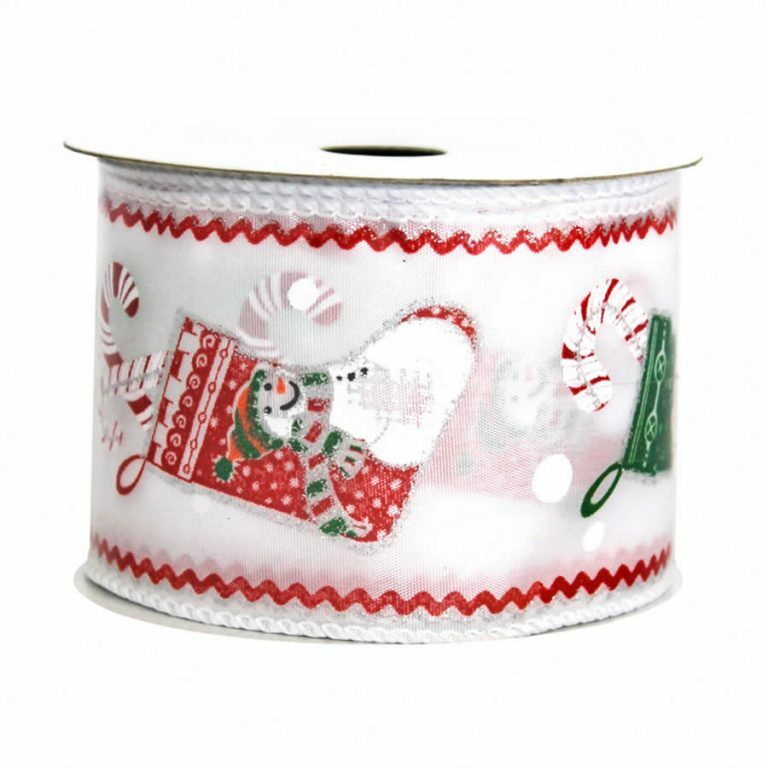 The element that makes this ribbon stand out could be the wire edging, which makes it easy and simple to create bows and trims that will last. These handcrafted projects will hold their shape longer, which makes it feasible to reuse this ribbon year after year, saving buyers money on trims in the long run. 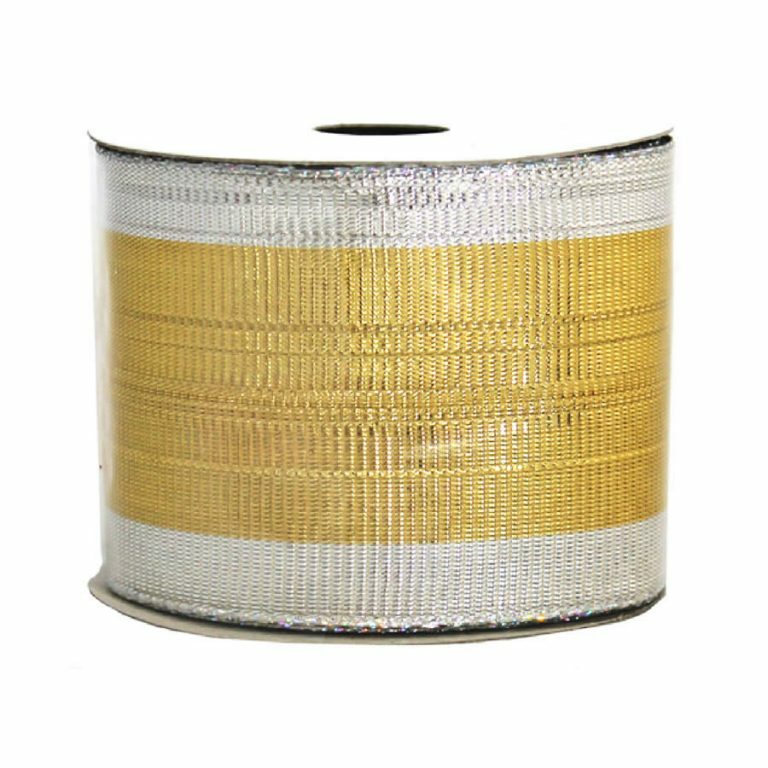 The ivory colour accented with shimmering silver is suited to many occasions and holidays, and is ideal for the festive Christmas season, too! 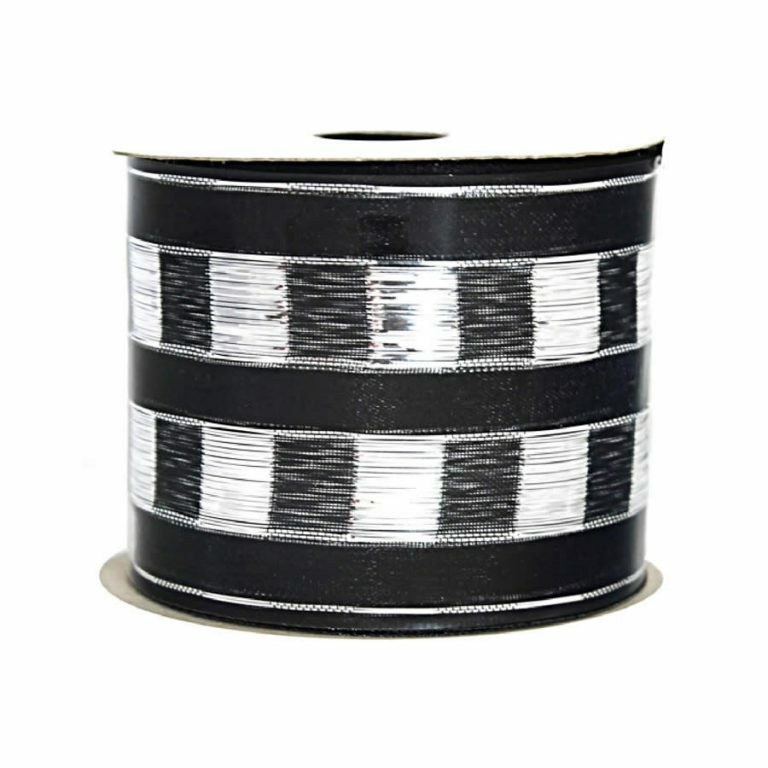 Use this for weddings, birthdays, and dinner parties, when you need to add a bit of polish or flair.